After reports surfaced on September 5 that Corsi had been subpoenaed to appear before a grand jury convened by Mueller, Infowars used its website and social media account to signal how Corsi should testify. The since-suspended Infowars Twitter account tweeted on September 5, “Want to know what former InfoWars DC bureau Cheif (sic) Jerry Corsi will tell Mueller’s grand jury?” The tweet linked a 2017 Infowars article authored by Corsi that attempted to defend Donald Trump confidant and Infowars host Roger Stone — who is also embroiled in the Mueller investigation — against accusations that Stone was involved in the release of emails that Russian intelligence officers stole from Clinton campaign chair John Podesta. 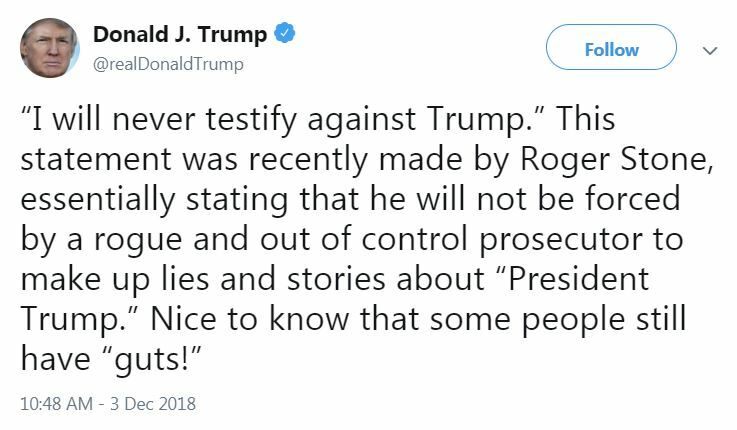 The implicit suggestion of the tweet was that Corsi, a former Infowars employee, should give testimony absolving Stone, a current Infowars employee, of any wrongdoing. 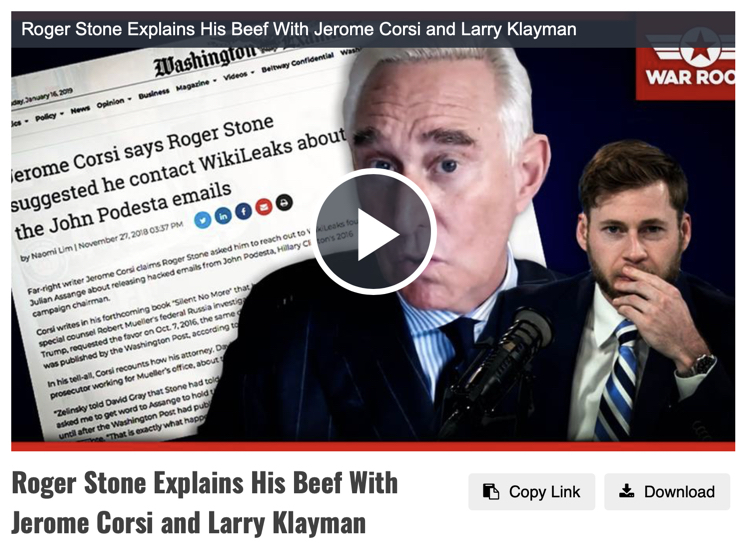 Later, as Corsi’s legal woes increased — beginning in November when Corsi said he expected to be indicted — Infowars turned on him and labeled him a traitor, with Stone driving the majority of attacks. In evaluating the conflict between Infowars and Corsi, it’s hard to know whose claims about the hacked emails to believe — if any — because the major players are all inveterate liars. But it’s clear that after trying to play nice with Corsi, Infowars has taken out its knives. As Corsi’s legal troubles worsened over the following months — on November 26, Corsi said he would reject a plea deal from Mueller, and in January, it was reported that several Corsi associates, including his stepson, had also been subpoenaed — Infowars turned on its former Washington, D.C., bureau chief. A search of Infowars.com shows headlines about Corsi began to take on a more negative tone in November (i.e., “Explosive! Roger Stone Responds To Corsi’s Flip-Flop Concerning Working With Assange”).